How do I buy a Milk Money Franchise? 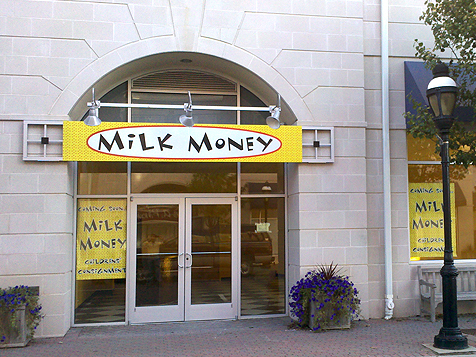 Bring a Milk Money franchise to your town. What business can you own that is fun and rewarding and supports your community and your children? Why a Milk Money Consignment Shop of course. If you've ever thought about becoming a shop owner consider running a Milk Money consignment shop. Open Milk Money in any of these available states: AK, AL, AR, AZ, CA, CO, CT, DC, DE, FL, GA, IA, ID, IL, IN, KS, KY, LA, MA, MD, ME, MI, MN, MO, MS, MT, NC, ND, NE, NH, NJ, NM, NV, NY, OH, OK, OR, PA, RI, SC, SD, TN, TX, UT, VA, VT, WA, WI, WV, WY. What business can you own that is fun and rewarding and supports your community and your children? Why a Milk Money Consignment Shop of course. If you've ever thought about becoming a shop owner consider running a Milk Money consignment shop. Milk Money provides an opportunity for shop owners to join forces with this environmentally conscious company that focuses on re-using and recycling essential items such as clothing, toys, shoes, baby equipment and gear. Contribute to a sustainable lifestyle and have access to all the tools to help you operate a consignment store. 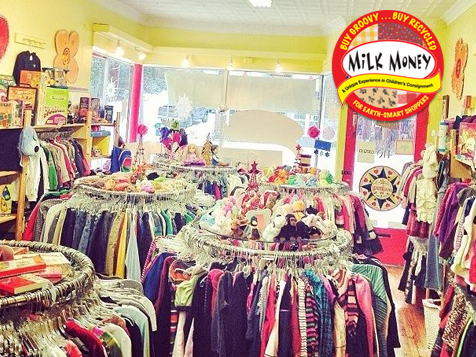 The colorful, cozy consignment shops are neighborhood staples in a growing number of communities, and Milk Money would like you to expand with them. This opportunity is perfect for business-savvy moms who are eager to serve their community. You can even work with your children by your side. Are you ready to bring a Milk Money consignment shop to your town? 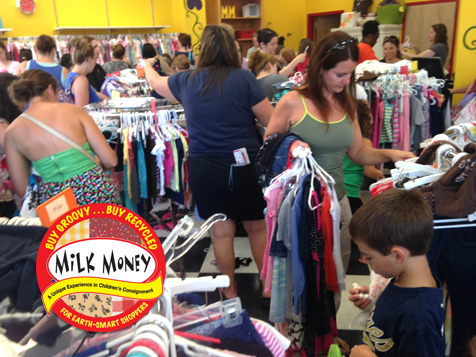 Milk Money maintains a diverse list of donation sites, so that unsold items reach families and children in need at schools, women's shelters, children's homes and organizations set up as a result of natural disasters such as Hurrican Sandy victims. Join this family-friendly business and enjoy the benefits of owning a Milk Money consignment shop. Nothing contained in this site is an offer to sell franchises. An offering can only be made by a prospectus filed with the appropriate authority in the state in which you reside. Create a business Where creativity, community and children shine. Contact Milk Money today. Milk Money is not currently active in our directory, but here are some other recommended selections for you to explore.